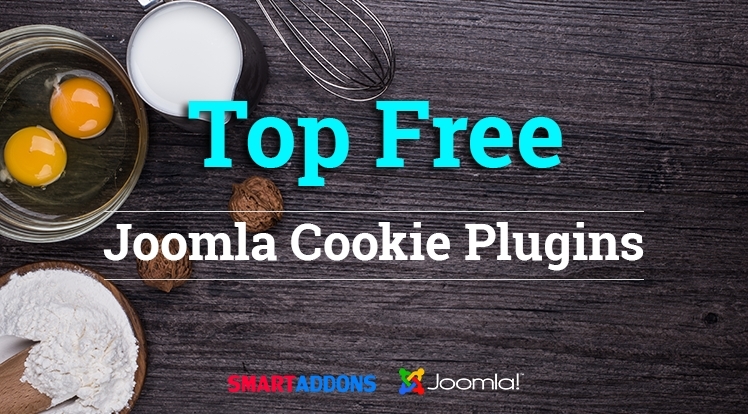 We've picked up top 8 FREE cookie plugins for Joomla which are best reviewed on JED and used by many websites. With the following Joomla cookie plugins, you can easily control you website cookie. Color Link: Blue, Green, Orange, Red. Article in popup window: No, Yes. Languages: Add Details, languages ​​that are installed on Joomla are displayed. Responsive (adapts to different screen sizes). Display in popup (Center) or context (Top or Bottom). Select the position on your site. Select the size of the alert. Setting borders (color, shape, size). Set the two buttons "Read more" and "Ok" (text, position, size, color). This cookie plugin blocks all cookies, for example, if we have an online shop and the user does not accept it, the user could encounter functionality problems with any processes that require them. Cookies CK is a simple plugin that show the cookies information popup on your website. With CookieHint for Joomla! you can add a cookie notice to your Joomla! website in a few steps. You just need to install and activate the plugin “CookieHint”. The cookie plugin for Joomla! offers three settings. Allow to link to your imprint or disclaimer. You just have to add a specific URL. You can specify the design of the cookie notice via CSS file. Allow to use your own script to change the entire layout of the cookie notice. Nice Cookie module for Joomla. This module is used to notify the user about the cookies policy of website. The notice bar will be added to top of page. Above are some suggestions for controlling Cookie for your websites. If you are using another one and have success with, please share with us.